Drive more business with Herman, your partner for growth. 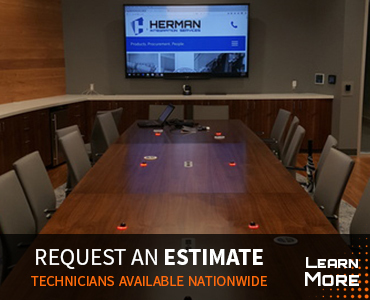 Herman Integration Services supports the AV systems integrator with AV installers, technicians, and technical resources available for your commercial needs nationwide. 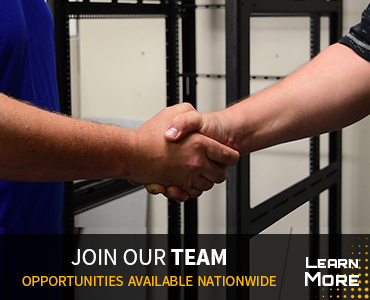 Available nationwide, Herman offers flexible AV staffing solutions, competitive rates and quality talent. Our AV engineers’ commission systems, program DSP, set up VTC systems, troubleshoot and lead field teams. They also provide pre- and post-sale engineering and drawings. Experienced programmers are certified in Crestron, AMX and BiAmp. We build, test and ship fully assembled racks to your project site. Field project managers lead and coordinate projects and will represent your company on the job site and report to you daily. 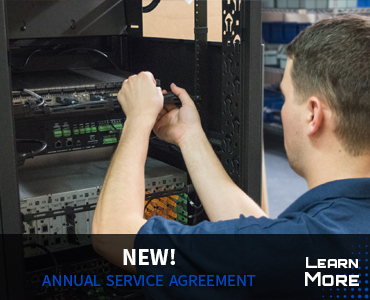 Trained AV technicians are certified to manage maintenance calls and help you provide a new service without adding headcount. Spend time building your business, not looking for AV resources! “I just wanted to give you guys a quick ‘thank you’. I have a few other labor resources that keep trying to win our business and they just continually fall short. Your team has been amazing to work with from getting a quote back to fluid schedule changes. The little things about just how easy it is to work with your team is why we keep coming back. "I just wanted to let you know that your team, that you quickly pulled together Sunday night, is/was amazing. Cindy and Tim did an outstanding job, and the team got the job completed yesterday (two days under plan). My tech was very impressed with their skill and knowledge. Thank you very much for pulling together a great team at the 11th hour. I enjoy the partnership we have and hope to keep it going for many more years." "I was your technician’s direct leader and I could not have been more pleased with the effort and output during her stay with us. The tech transitioned quickly and worked well with members of my team. She was a quick study and made good progress from the start. Additionally, she worked very well with the dozens of remote contacts needed to complete the work at hand. In the end, her effort and demeanor working with others was a huge factor in her success. We could not have completed these upgrades without her help and the end result exceeded my expectations." "Your organization has been really easy for us to work with, very good at communications metric and paperwork flow, you can tell that you’ve been doing this for a while. We’ll be in touch, we will definitely be using your services in the future!" "You are doing great. The guys are finishing the install today. I am preparing another order. You guys rock." "Your technician did an amazing job, starting with the Prewire stage, all the way thru the trim and final! I could not have done it without him. His great attitude and work ethics are amazing!! The job was very challenging, and he met all of our goals in a timely manner!! He did an amazing job on the AV Rack, and it looks beautiful!! Everything I asked of him, he did with such a positive attitude!! It truely was an honor to work with him. I can’t thank him enough for a job well done!! I look forward to future jobs with Herman IS." Need our services? Receive an estimate within 24-48 hours. Copyright 2012-17 Herman Integration Services. All Rights Reserved.Website Design by Digital Eel Inc.